Listing all posts with label older cats. Show all posts. Okay, so cats are supposedly "senior" by between ages 9-12, and "geriatric" by age 14. Vixen and I had a second session with Pet Psychic Laura Stinchfield yesterday, and once again, it was sweet and sad. 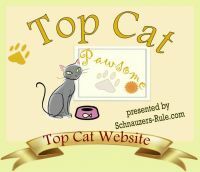 Do Your Cats Talk To You? 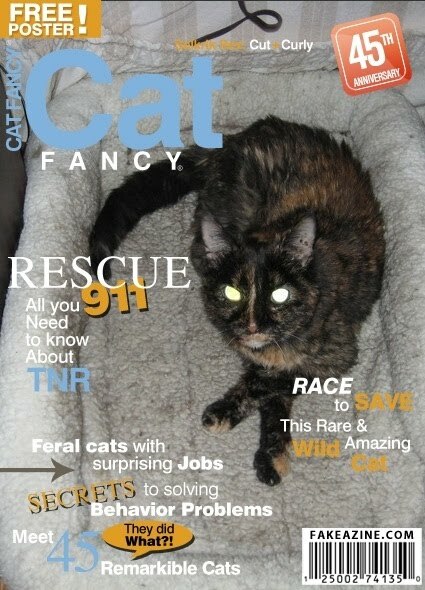 My little cat is about 22 1/2 years old now, a sort of "super-senior", since they say cats become "seniors" by about age 8. She doesn't hear well, yowls a lot, sometimes gets a tremor in her back leg, seems to move more gingerly, and several other things that let me know she's feeling her age. Older cats don't groom themselves like they did when they were younger, so they need help. Now that the worst of the winter is past us, Vixen is shedding her winter coat. I've found clumps of hair all over the house, so I try to give her a good brushing every day to remove some of that loose hair. 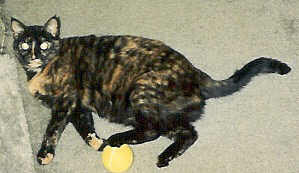 Twenty-one years ago this month, a feisty little tortoiseshell came to join my household. She'd been a feral cat in the apartments where I lived, one who'd lurk in the hedges and swipe a spotted paw out at you when you passed. I'd see her following along behind the maintenance men, playing with whatever tool belt or electrical cord was dangling behind them. "An extra-large helping of breakfast is never as delicious as a second helping of breakfast that requires Mom to serve me twice." Anyone who's ever had cats knows that they love their little rituals. Vixen used to have one with my mother, every morning and evening, with her canned food. Now that my mother's no longer with us, that duty has fallen to me.